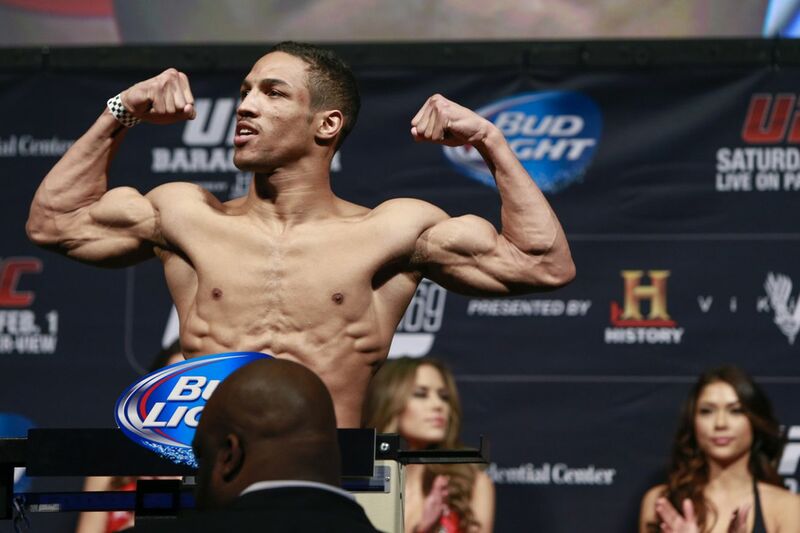 Kevin Lee has campaigned for a fight with Khabib Nurmagomedov for a while now, but his post-fight argument with Tony Ferguson on live television gave him another option. Lee had just left the Octagon in Oklahoma City, fresh off an impressive first-round victory over Michael Chiesa in the main event, but Ferguson, who was on the FS1 post-fight show, took shots at him instead of talking about his performance. Lee wasn’t happy with his attitude, and they exchanged words for a few minutes. “I even saw his little write-up he did before and I just don’t understand it. Do the man even watch fights? Do you even watch?” Lee said on Monday’s edition of The MMA Hour. “I’m not even judging him as a fighter right now, when they bring you on the desk I’d expect you to put some effort and some time into it. If FOX wants a real fighter to go an do it, who actually take the time and take the effort. Coming off one of the biggest wins of his career, Lee was “a little disappointed” with the network and the analysts working that night. Lee has now won five in a row in the division, finishing his past four opponents to bring himself to the top of the division. And after a back-and-forth with the No. 2 lightweight on live television, he now sees Ferguson as a potential opponent if Nurmagomedov isn’t available. “I’ve been trying to make this Khabib fight just because everybody thinks Khabib is such a monster, he’s all this and all that,” Lee said. “If they want to make the Tony fight happen, I’m cool with that. I thought that judging by the backstage and everything, I thought they would go with Tony and (Edson) Barboza, that’s why I was pushing for Khabib, but if they wanna do me and Tony, hell yeah, I’ll do it. I’ll step up. Lee has one fight left on his current deal with the UFC and expects to renegotiate and re-sign with the company before his next fight. The rising lightweight still needs to get his knee checked by a doctor before setting up his return to the cage, but aims to be back in action in December. Click Debate: Can neck-strengthening exercises help mitigate concussions in MMA?